In the fourth quarter of last year, CITIC Securities obtainedfundIncreased holdings of approximately 110 million shares, becoming the 11th largest stock of public funds. Since the beginning of this year, there have been 12 listings.BrokerAnnounced 2018PerformanceExpress. Against the backdrop of stock market volatility and volume and price declines last year,Brokerage performanceThe sharp drop is also expected by most investors. However, when reviewing the brokerage performance,AnalystIt is generally believed that the current valuation of brokerage stocks is at a historically low level with a clear margin of safety. In fact, many institutions represented by public funds are also using actual actions to prove their optimism about brokerage stocks. According to the data of the fund's Four Seasons Report, in the fourth quarter of 2018, listed securities companies with strong comprehensive strengths such as CITIC Securities and Huatai Securities all received more than 100 funds. Since January 10, Guoyuan Securities disclosed the annual performance report, Haitong Securities, Zheshang Securities, Changjiang Securities, CITIC Securities, Founder Securities, CITIC Jiantou, Everbright Securities, Orient Securities, Pacific Securities, Northeast Securities, Guohai Securities also The 2018 performance report has been released, and most brokers have reduced their performance. According to the statistics of the "Securities Daily" reporters, the revenue and net profit of these 12 listed brokers fell compared with 2017. Among them, CITIC Jiantou and Orient Securities, which had a small decline in revenue, achieved revenues of 10.007 billion yuan and 10.301 billion yuan respectively in 2018, down 3.5% and 2.19% respectively. In terms of net profit, the best performance is CITIC Securities. In 2018, CITIC Securities achieved a net profit of approximately 9.394 billion yuan, a decrease of 17.83% from 2017. More eye-catching is that Pacific Securities has become the only company among the 12 listed brokers to issue pre-loss losses. Pacific Securities is expected to be attributable to listed companies in 2018shareholderNet profit was -1.2 billion yuan to 1.4 billion yuan, a decrease of 1.316 billion yuan to 1.516 billion yuan compared with the same period in 2017. In fact, due to strong capital strength and strong anti-risk ability, most listed brokers' net profit last year fell less than the industry average. Previously, the securities company’s 2018 results announced by the China Securities Industry Association showed that 131 securities companies achievedOperating income266.287 billion yuan, the main business income are: agent sales of securities business net income (including seat leasing) 62.342 billion yuan, securities underwriting and sponsoring business net income of 25.846 billion yuan, financial advisory business net income of 11.15 billion yuan, investment consulting business Net income was 3.152 billion yuan, and net income from asset management business was 27.50 billion yuan.Stock investmentRevenue (including changes in fair value) was 800.27 billion yuan, net interest income was 21.485 billion yuan, net profit was 66.620 billion yuan in the current period, and 106 companies realized profit. Compared with the 2017 statistics released by the China Securities Industry Association, in 2018, 131 securities companies achieved a 14.7% decline in operating income compared to 2017, a net profit reduction of 41.04%, and a decrease in the number of profitables by 14. From the financial indicators of 131 securities companies in 2018, the net income of agency securities trading (including seat leasing) decreased by 24.06% year-on-year; the net income of securities underwriting and sponsorship business decreased by 32.73%; the net income of financial advisory business decreased by 11.06. %; net income of investment consulting business decreased by 7.18% year-on-year; net income of asset management business decreased by 11.35% year-on-year; securities investment income (including changes in fair value) decreased by 7.05% year-on-year; net interest income decreased by 38.28% year-on-year. Although the listed brokers in 2018 suffered from the double pressure of performance and valuation, when commenting on the brokerage performance, analysts generally believe that the current valuation of brokerage stocks is at a historically low level with a clear margin of safety. In fact, many institutions represented by public funds are also using actual actions to prove their optimism about brokerage stocks. Statistics show that at the end of the fourth quarter of last year, 28 brokerage stocks were held by the fund to varying degrees. Among them, 19 brokerage stocks were increased or newer than the end of the third quarter of last year. Among them, CITIC Securities is the most valued brokerage stock of the fund. At the end of the fourth quarter of last year, a total of 337 funds were heavily placed in CITIC Securities, with a total holding of 567 million yuan. The number of holding funds increased by 134 compared with the end of the third quarter of last year. The number of shares held increased by 110 million shares. 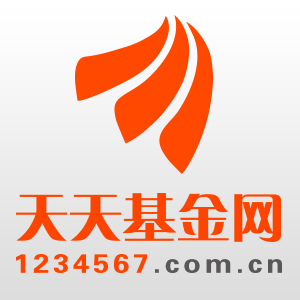 The total market value reached 9.068 billion yuan. CITIC Securities has thus become the 11th largest stock of public funds. In public funds,Index fundAnd active funds have the largest increase in brokerage stocks. Among them, as of the end of the fourth quarter of last year, ChinaSSE 50ETFChina Merchants Securities Co., Ltd., Fuguo State-owned Enterprise Reform, and ICBC Credit Suisse Financial Real Estate all increased their holdings by more than 10 million shares at the end of the third quarter of last year. In addition, Huatai Securities also received over 100 funds in the fourth quarter of last year. At the end of the fourth quarter of last year, a total of 232 funds were heavily placed in Huatai Securities, an increase of 122 from the end of the third quarter of last year. The total number of shares held was 280 million shares, an increase of 80.12 million shares from the end of the third quarter of last year. Guotai Junan, Haitong Securities and China Merchants Securities were also increased by the fund in the fourth quarter of last year by 43.22 million shares, 35.93 million shares and 21.56 million shares. However, there were also seven brokerage stocks such as Shenwan Hongyuan, Dongfang Securities and Founder Securities, which were reduced by the fund in different levels in the fourth quarter of last year. Write to investors in the stock market: the brokerage sector is expected to take the lead in "rebirth"